The gift of new brothers! 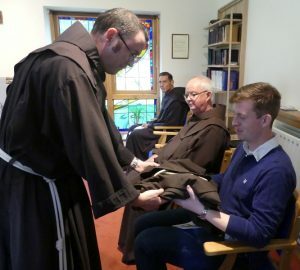 On the Feast of the Assumption of Our Lady, 15th August, in the international novitiate in the Franciscan Friary, Killarney, Co Kerry, five OFM novices received the Franciscan habit. Two men, Adrian Macor and Ted Splinter, are from the Western Canada Province. One, Benedetto Ressa, is from the Dutch Province. And two, Ian Cunningham and Conor O’Brien, are from the Irish Province. A TOR novice, Joel Karlsson, from Sweden was received also. 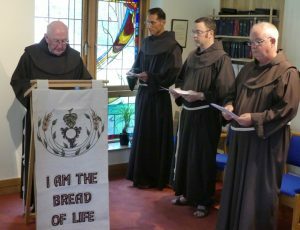 With six novices in his care Novice Master, Antony Jukes, and the Franciscan community in Killarney have a busy year ahead. 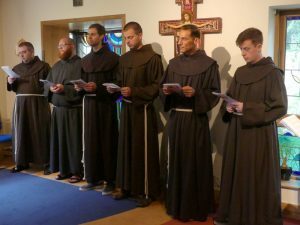 Please remember these young men in your prayers as they begin their one year novitiate programme.